In 2008, Lorenzo Piccin, a young winemaker from Montepulciano in Tuscany began making the wines of San Martino in the heart of Mt. Vulture in Basilicata. 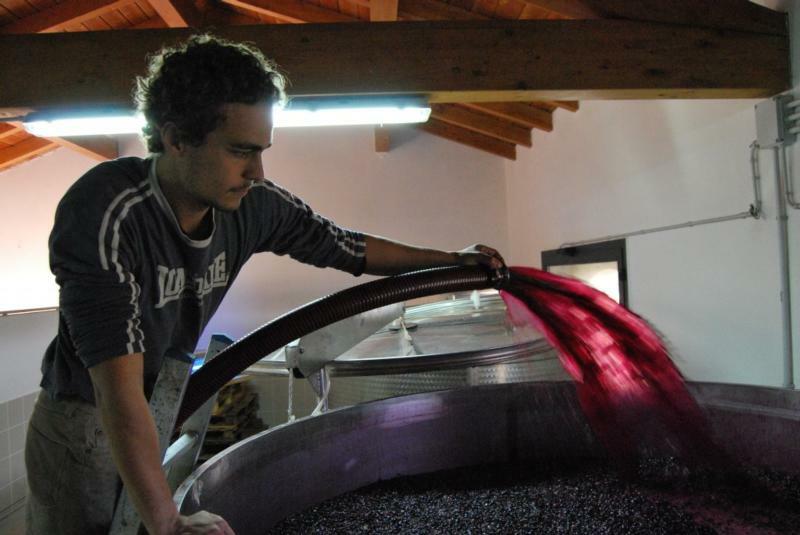 It is here that Lorenzo works passionately to craft his wines from the noble grape, Aglianico del Vulture. Lorenzo hails from a family of winemakers who after becoming dissatisfied with the over commercialization of land and viticulture in Tuscany decided to strike out on their own in Basilicata. In the early 1980's they founded the winery of Grifalco in the town of Venosa. In 2008, having just graduated from Oenology school in Turin, Lorenzo returned home and founded San Martino. The winery consists of 7 hectares of volcanic/clay/skeleton rich soils at an altitude between 450 and 500 meters. San Martino produces 3 wines with the oldest vines of up to sixty years of age going into the top bottling 'Kamai'. For Lorenzo it was of the utmost importance to work his vines following organic practices with native yeasts and to respect the health of his land, vines and terroir.